Ideally situated near the Golden Triangle area the Hampton Inn - Suites Columbus is less than three miles from Columbus Mississippi. We offer convenient access to downtown Columbus the MUW campus Columbus Air Force Base and Leigh Mall. 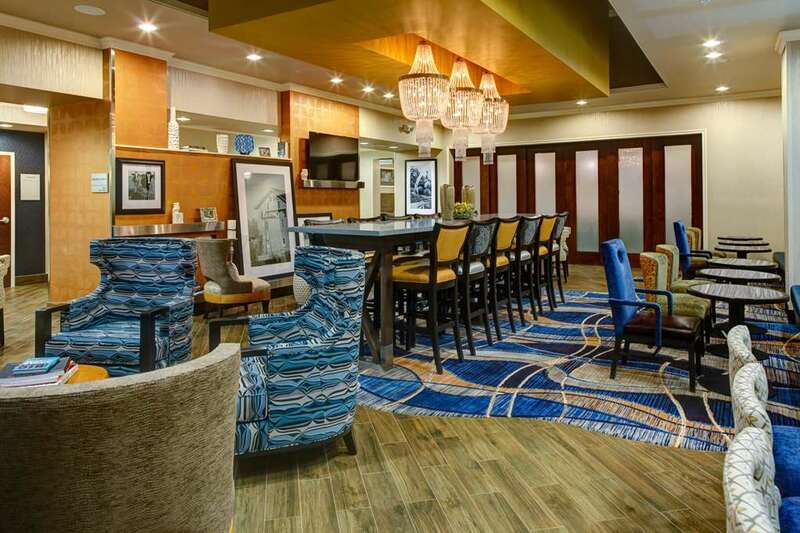 Nearby attractions including Magnolia Motor Speedway Trotter Convention Center and Columbus Recreation Park can all be easily reached from our friendly Columbus MS hotel. All of our comfortable guest rooms and suites offer everything you need to relax and stay productive. Enjoy homelike amenities including a coffeemaker mini-fridge and flat-screen TV. Check emails with free WiFi at the ergonomic desk and get a great night*s sleep in the clean and fresh Hampton bed. Savor fresh-baked waffles at Hampton*s free hot breakfast buffet or pick up a free Hampton*s On the Run Breakfast Bag Monday Friday. The 24-hour Suite Shop stocks a variety of snacks drinks and sundries. Maintain your exercise routine at this welcoming hotel in Columbus MS. Energize in the free 24-hour fitness center and take advantage of good weather in the outdoor swimming pool. Make last minute updates to your presentation in the free 24-hour business center and organize a conference or training event for up to 40 people in the 400 sq. ft. meeting room. State-of-the-art A/V technology and our friendly professional staff will ensure your event is a success. Friendly service clean rooms comfortable surroundings every time. If you*re not satisfied we don*t expect you to pay. That*s our commitment and your guarantee. That*s 100 Hampton.